It’s July, which means: The Next Together is released in exactly 2 months tomorrow, whaaaaaat?!?! Romeo and Juliet meets The Godfather in the second instalment of Catherine Doyle’s Blood for Blood series. Sophie’s life has been turned upside-down, and she’s determined to set things right. But Nic, the Falcone brother who represents everything she’s trying to forget, won’t give up on their love – and it’s Luca’s knife she clutches for comfort. Soon another mafia clan spoils the fragile peace – and with her heart drawn in one direction and her blood in another, Sophie’s in deeper than ever. Okay, I know this is cheating. The book isn’t out until JANUARY. But Catherine let me sneakily read it now because I am a lucky, lucky, shameless beggar, and I can’t stop thinking about it. I just went to Venice, and every time I saw an Italian boy I wondered whether they were a Mafia Underboss. I blame this entirely on Cat. I think I’m going to have to start a petition for this series to be made into a Netflix Original show. It’s the best, best, best YA romance-slash-Mafia action film that you could ever HOPE FOR. I was stressed out and thrilled by everything. IT WAS SO GOOD. SO GOOD. SUCH BAD-ASSERY. Sophie totally comes into her own in this book, and I swear to god she’s going to end up being the Mafia Queen, and I’m going to be cheering her on the entire journey. In summary: THIS BOOK IS A WILD RIDE. I need the next one, which tragically isn’t out until 2017. CAN I WAIT THAT LONG? No. Definitely not. Music: Your Bright Blood playlist This is a playlist about the book The Song of Achilles, and it is super great. I’ve been listening to it on repeat recently. Includes Bastille, Noah and the Whale, Regina Spektor, Vampire Weekend, and other excellent bands. You should listen to it while you read the rest of this post, js. TV: Jonathan Strange & Mr Norrell This is a BBC mini-series that is currently airing, based on one of my all-time favourite books. It’s about two Victorian gentlemen magicians, who are the first people able to do actual magic in centuries. They help the British Army in the Napoleon wars, while arguing over textbooks and becoming acquaintances/enemies/besties. It’s complicated and ridiculous and I love it. It. is. amazing. Mainly because of Jonathan Strange. Do you see my point? You see my point. Jonathan Strange = babe. BABE. Okay, that’s enough gifs. OH WAIT, NO IT ISN’T. I made this recently, and haven’t been able to stop thinking about it since. It’s the most perfectly dense, rich sponge cake, and it has just a tinge of sweetness. I love ittttt. This stuff is great. It smells like heaven does, probably. That’s basically my whole thoughts on it. It’s great. Stationery: Venetian writing paper I just got back from Venice. It was amazing. Also very hot and busy and expensive. But WORTH IT. 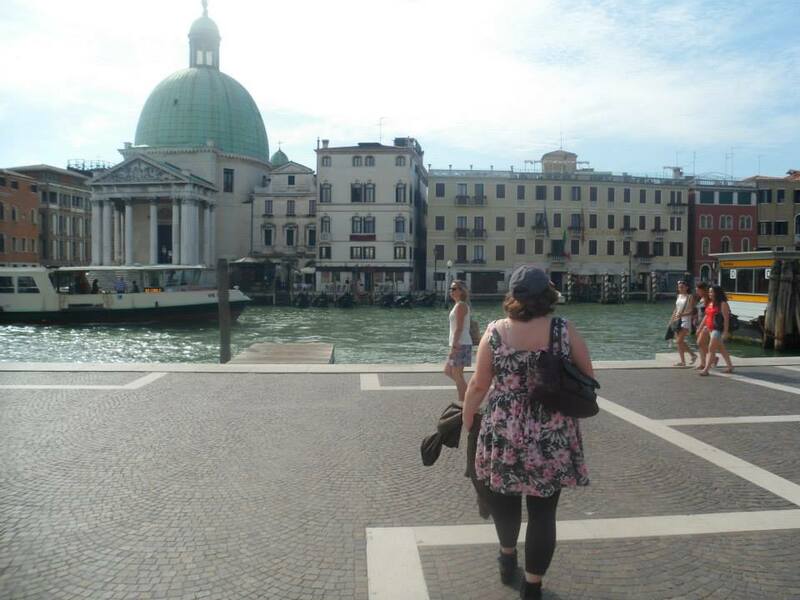 Me, staring at buildings and water for like…..forty hours straight. 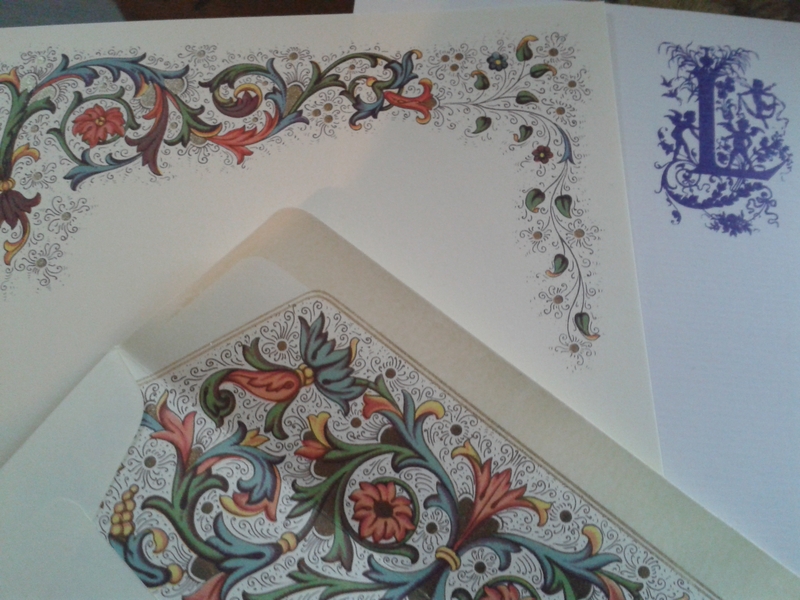 I bought some lovely fancy writing paper while I was there, which I have been stroking lovingly since I got back. LOOK AT IT. If you’re thinking of writing me a letter, now would be a good time, just sayin’. Nex time you’re in Venice and in need of stationary (AREN’T WE ALL?) then this is great stuff, 100% would recommend. That’s June summaried! I have to go back to staring at my writing paper now. Laters. I couldn’t resist one last Jonathan Strange gif. Sorrynotsorry. Look at that dork run. P.S. THAT’S RIGHT. The Bookseller described my book as ‘funny, romantic and compulsively readable’. I will never be over this. Ever. 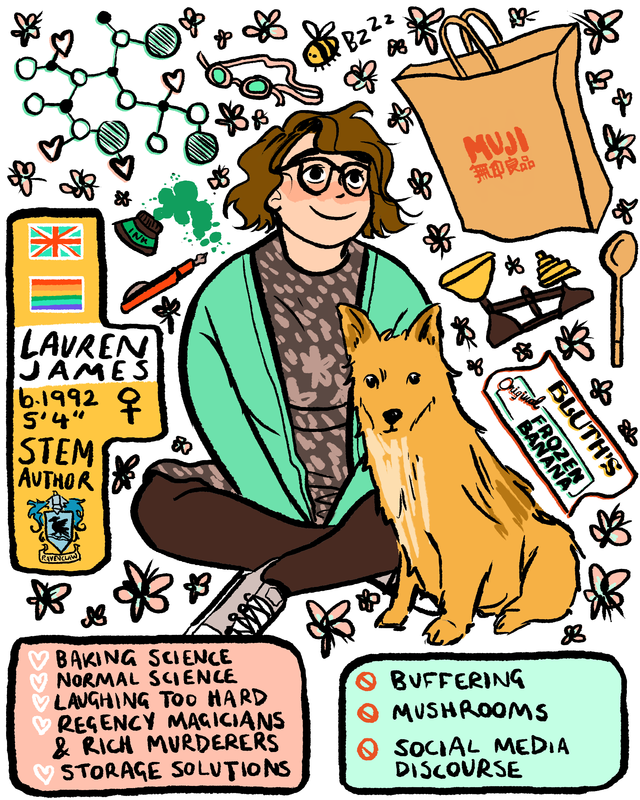 This entry was posted in favourites on 02/07/2015 by Lauren James.